Use your browsers vertical and horizontal scroll bars to view the pictures below. 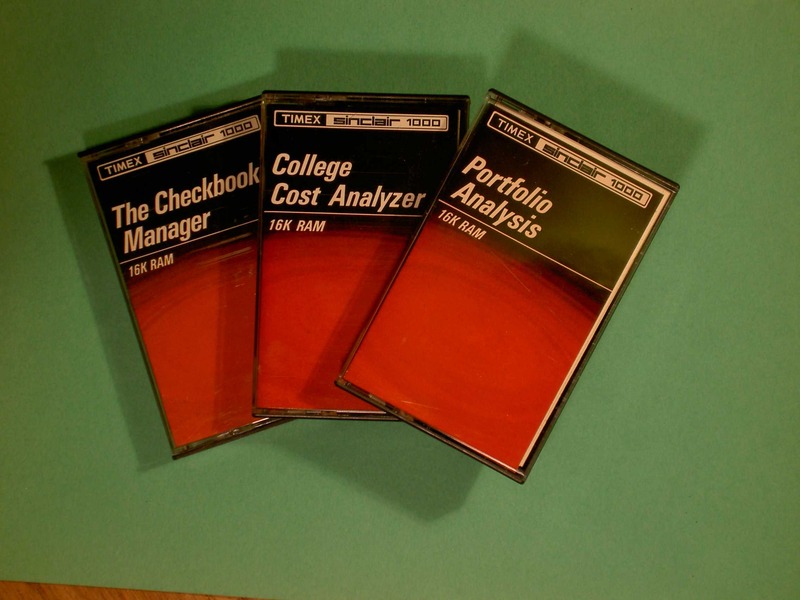 Below is the front of all 3 tape cases. 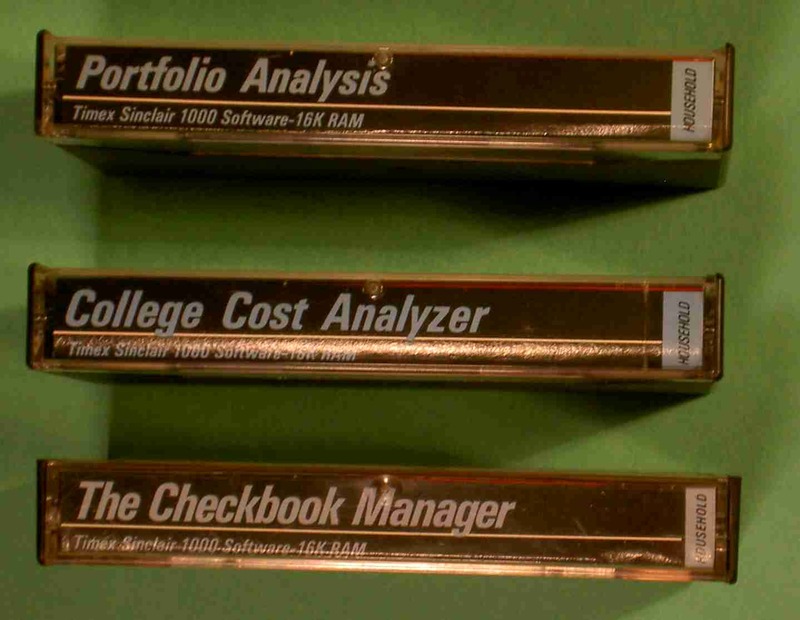 Below is the edge of all 3 tape cases. 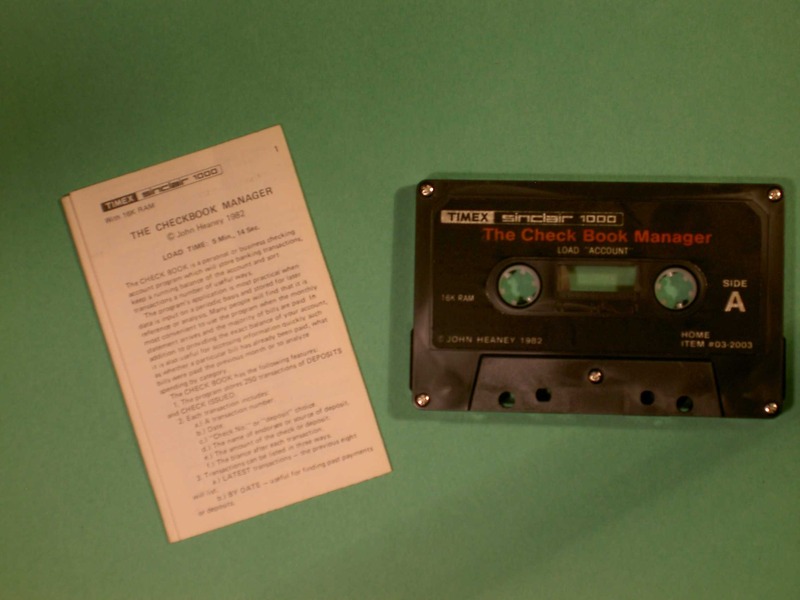 Below is the cassette for "The Checkbook Manager" with the instruction pamphlet. 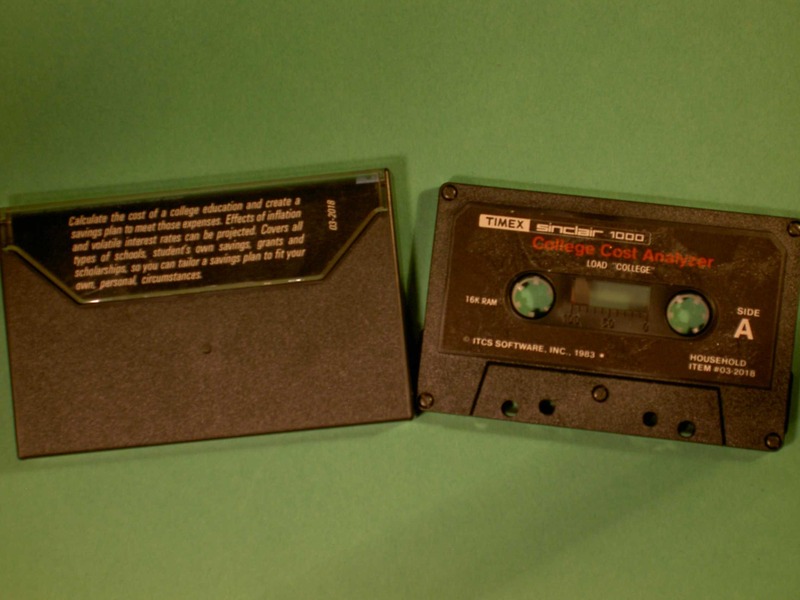 Below is the cassette for "College Cost Analyzer" and the back of its case. 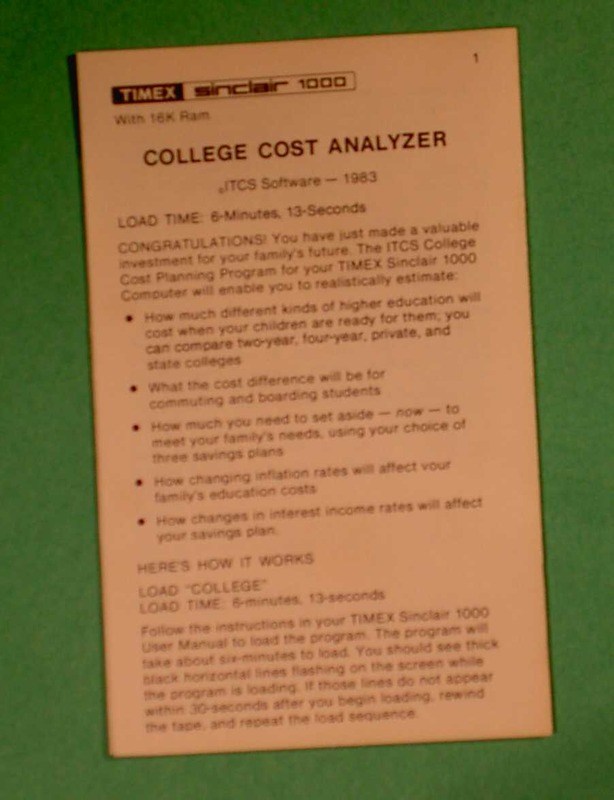 Below is the instruction pamphlet for "College Cost Analyzer". 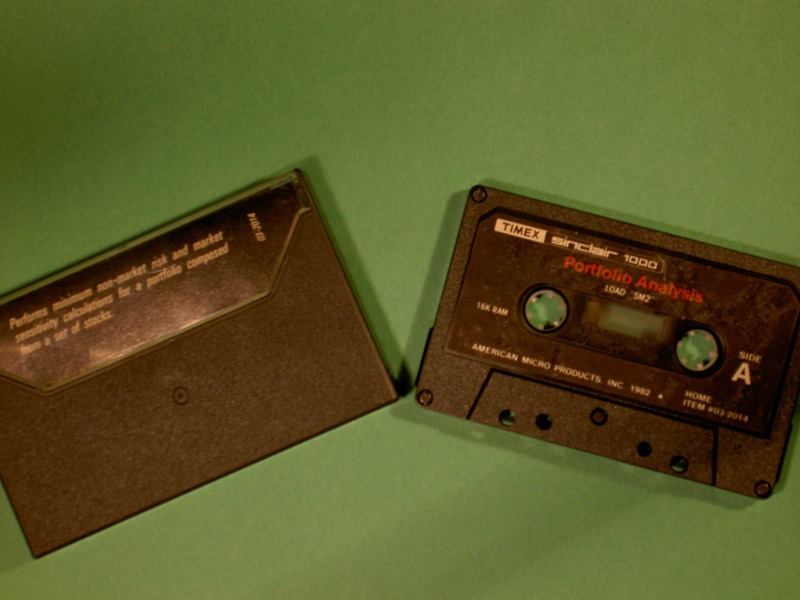 Below is the cassette for "Portfolio Analysis" and the back of its case.